I am a terrible procrastinator. But don’t get me wrong, while these websites enable procrastinators, they also have a good side: they are amazing sources for all sorts of inspirations and ideas, from life hacks and inspirations quotes, to recipes and beauty tips. 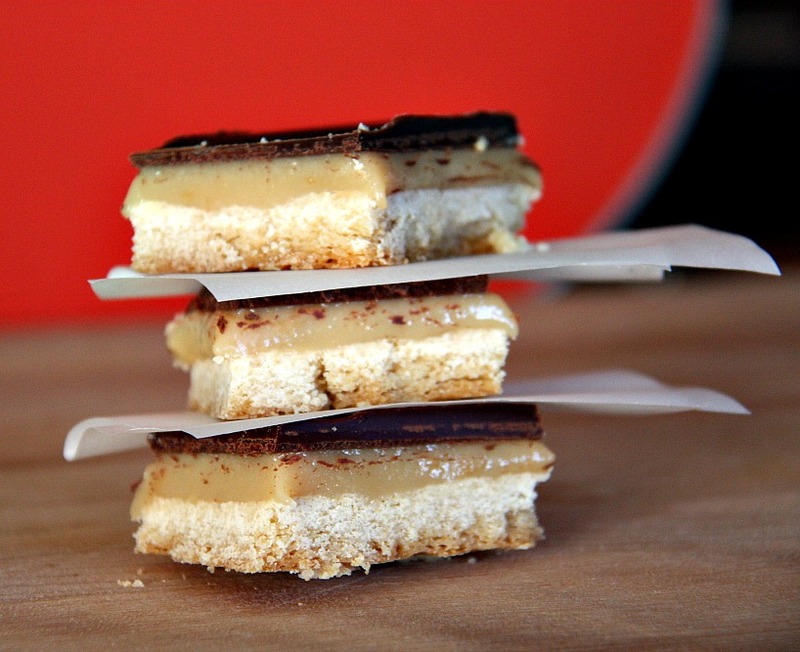 Pinterest was where I got the recipe for these amazing chocolate caramel shortbread bars. I’ve modified the recipe quite a bit, because initially while reading the recipe I felt myself slowly morphing into Paula Deen because of the sheer amount of butter in the recipe. My revised version isn’t entirely healthy, but these bars are definitely worth the calories. 1. Preheat oven to 325 F. Line a 9×13-inch baking pan with parchment paper. 2.. Whisk the flour, baking powder and salt together in a medium bowl. 3. In a large bowl, beat the sugar & butter together until well combined and slightly fluffy. 4. Then, gradually add the dry ingredients to the butter & sugar mixture, and mix it together until well combined. Transfer the dough to the prepared pan and press into an even layer over the bottom . 5. Bake for 15-18 minutes, or until the crust is golden brown. Transfer the pan to a wire rack and cool completely. ****note: don’t pour the caramel over the shortbread until the shortbread completely cooled, otherwise, it’ll take a really long time for the caramel to cool down. 1. Combine the butter, sugar, corn syrup and sweetened condensed milk in a medium saucepan, over a medium flame. Stir occasionally until the butter is melted. 2. Increase the heat to medium-high, & bring the mixture to a boil. 3. After it is brought to a boil, reduce the heat to a simmer, whisking constantly, until the mixture thickens and turns a light caramel color (approximately 10 minutes). 4. Pour the caramel mixture over the cooled shortbread and spread in an evenly. Wait for it to cool down completely, then allow to chill for a little while(because if the caramel layer isn’t solid enough, it’ll mix in with the chocolate and you won’t get those solid layers of chocolate and caramel). 1. Create a double boiler by placing a heatproof mixing bowl over a pan halfway filled with water. Place on the stove, on a medium to high heat, until the water is boiling, then reduce to a simmer. 2. In the bowl of the double boiler, add the chocolate, corn syrup, and butter.. Give the chocolate a couple minutes to melt and stir occasionally, until everything is melted and the mixture is smooth and glossy. 3. Pour the chocolate over the chilled caramel and spread into an evenly, and smooth it out. Let the chocolate set completely before cutting it up. 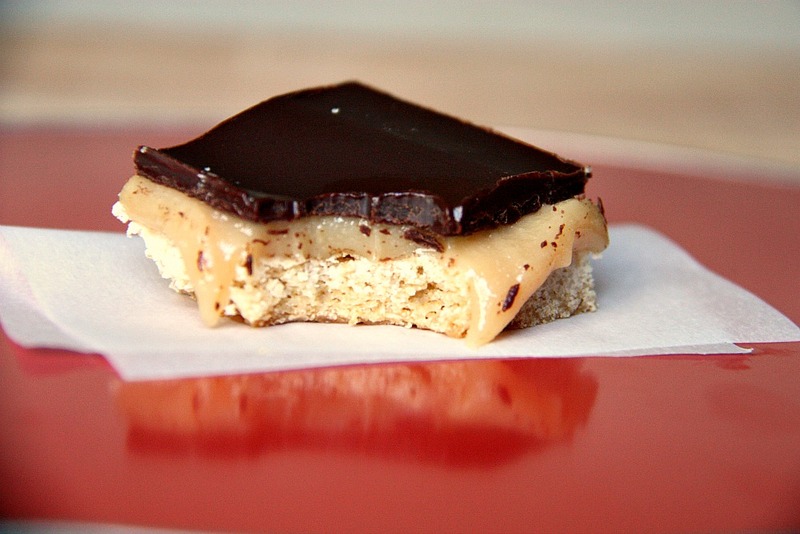 These caramel bars look so yummy! 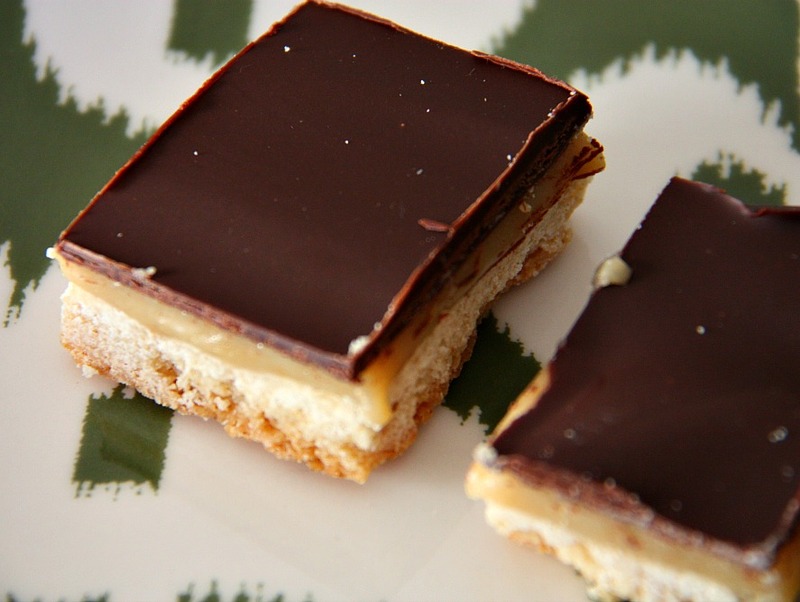 I love chocolate caramel shortbread! 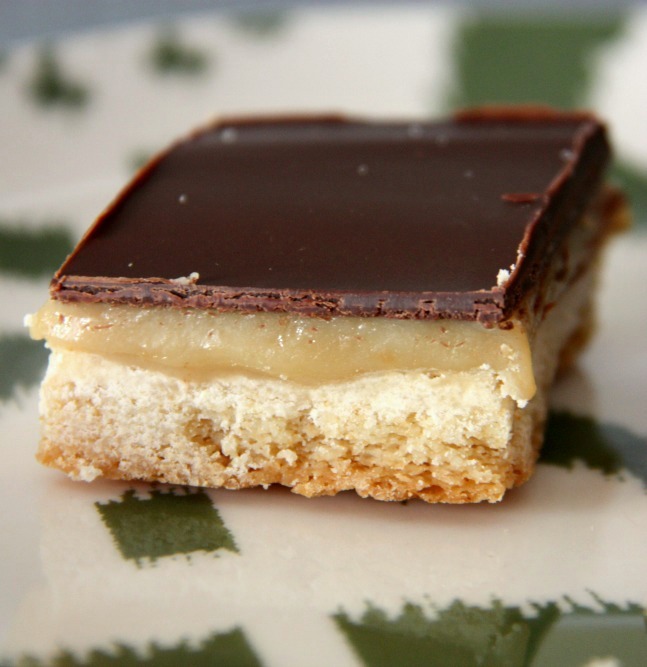 Your bars look so delicious, thanks for the recipe!